he has put together an interesting and informative series of essays. The first and largest chapter is written by Locke and focuses on Banff National Park and its role in the conservation of the plains bison in the late eighteenth and early nineteenth centuries. With photos, illustrations, letters, and maps that outline where the buffalo roamed, it tells the story of the largest plains bison herd that emerged from those early conservation efforts. The second chapter, written by George Colpitts, a history professor at the University of Calgary, focuses on the history of the plains bison before those conservation efforts and explains why the bison were then so close to becoming extinct. 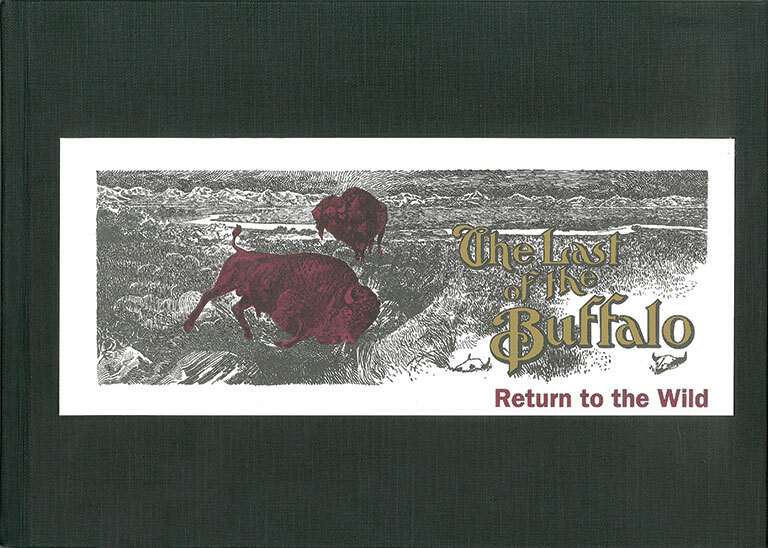 Jennifer Rutkair, archivist for the Whyte Museum of the Canadian Rockies, details the preservation of the original The Last of the Buffalo booklet, published in 1908 and included here in facsimile form. The reproduction features photos of the 1907 roundup of that largest bison herd. A chapter written by First Nations educator Leroy Little Bear discusses the Buffalo Treaty of 2014 as well as the relationship between Indigenous peoples and the buffalo. And the final chapter, written by Norman Luxton in 1912, is a first-person account of his role and activities in that 1907 roundup. With the reintroduction of wild bison to Banff National Park in February 2017, this book offers a timely reflection on the efforts made by so many people to return this magnificent beast to its historic home.